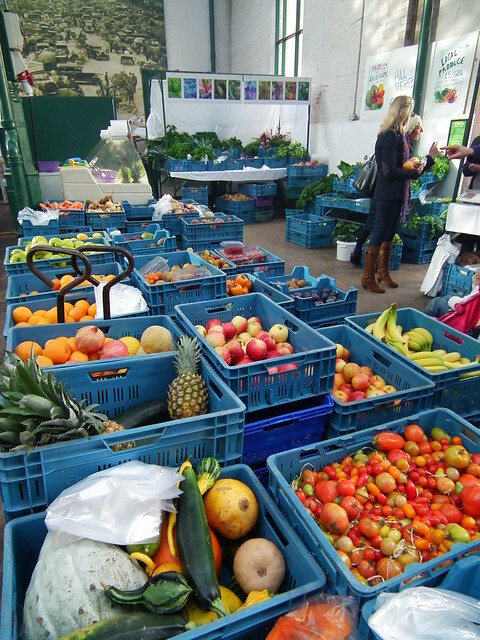 In the Market for a Market? 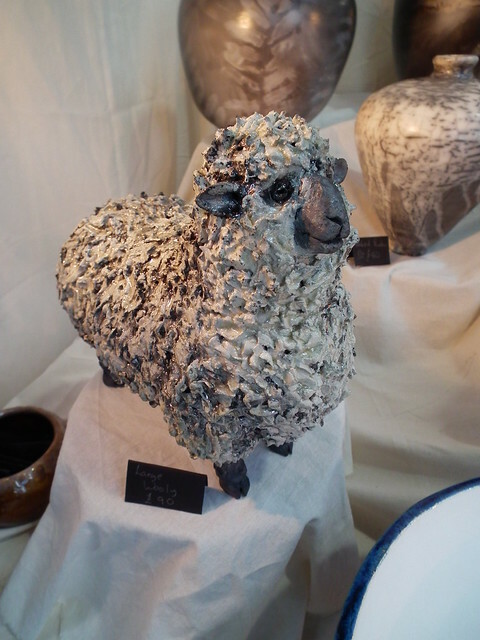 By George, I’ve Found It! 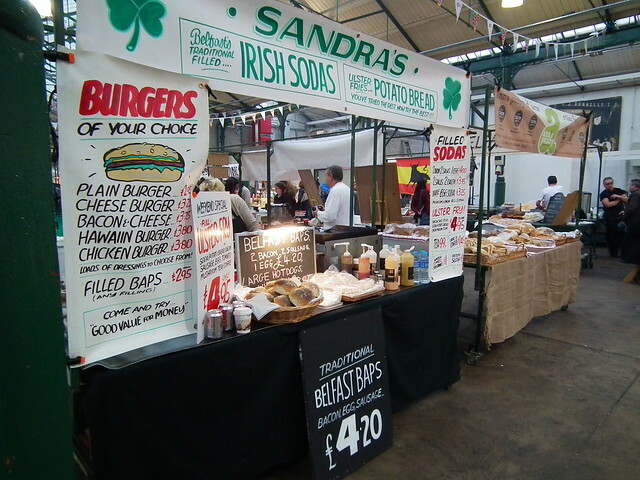 “This is a smoke-free environment” the sign says as we enter St.George’s Market on our first Saturday in Belfast. 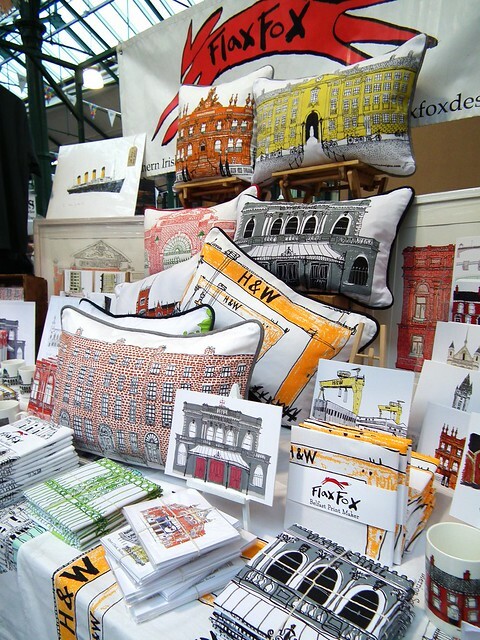 In fact, the air in the Victorian market building is dense with smoke but thankfully it is not from cigarettes, but from the innumerable hot plates, barbecues and sandwich presses that are being put through their paces this lunchtime. 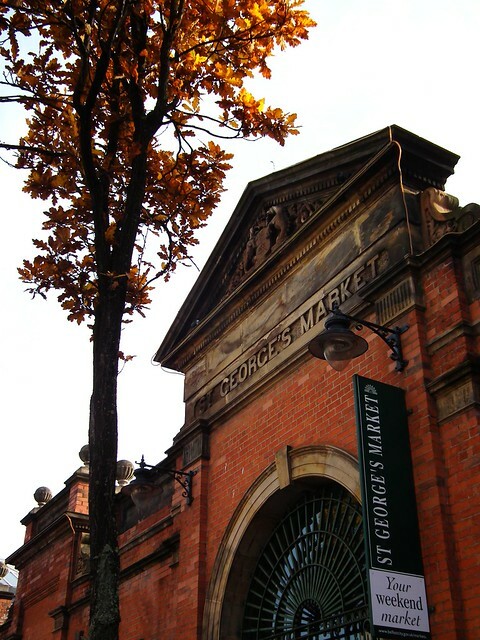 St. George’s Market is one of the oldest attractions in Belfast, with a Friday market being held on the same spot since 1604. 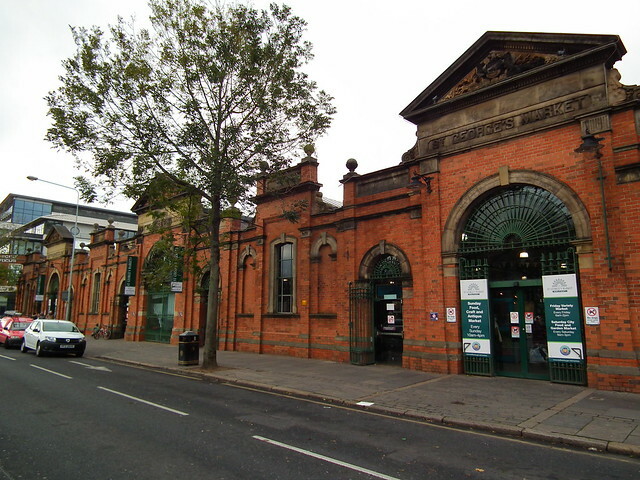 The current market building, built between 1890 and 1896, is a beautiful example of Victorian architecture. 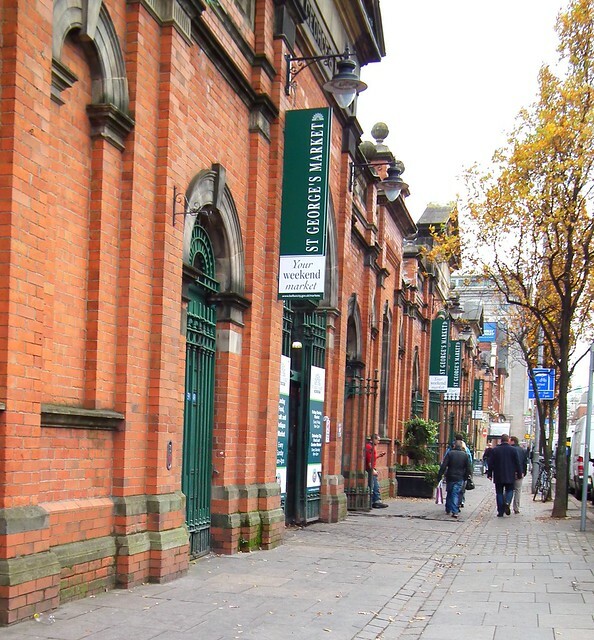 From the grand entrance ways, all emblazoned with the market name and Belfast coat of arms, to the functional yet beautiful glass and iron interior, the market building exudes a class and elegance that modern buildings simply can’t compete with. 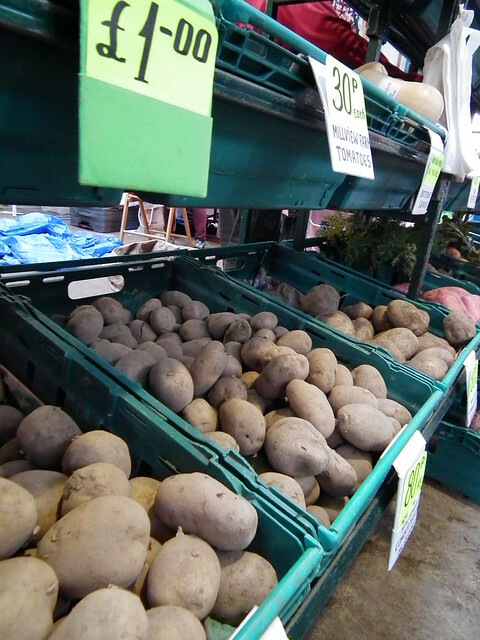 A visit to the market must be strictly planned as it is sadly only open on Friday, Saturday and Sunday, and for different hours each day (visit the Belfast City Council website for exact hours). 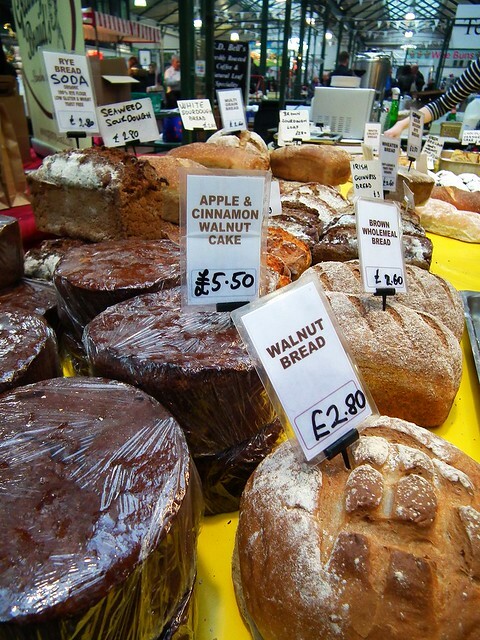 On weekends the market comes alive, with vendors and visitors coming from across the local area to both shop and sell their wares. 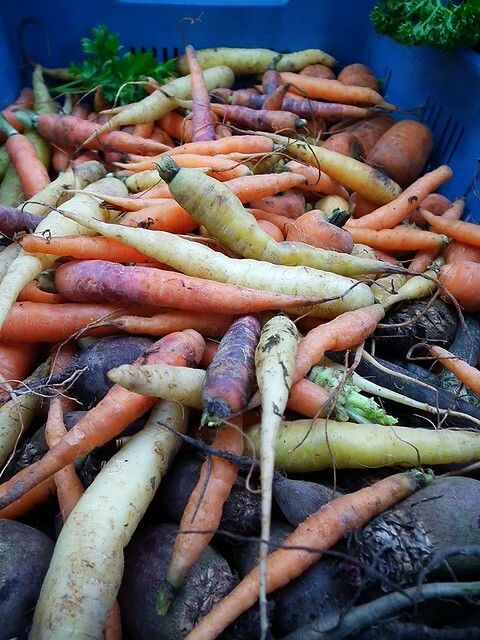 My favourite part of the market is just how local it is, with local growers, crafters, artisans, bakers and cafés offering the best of Belfast to visitors. 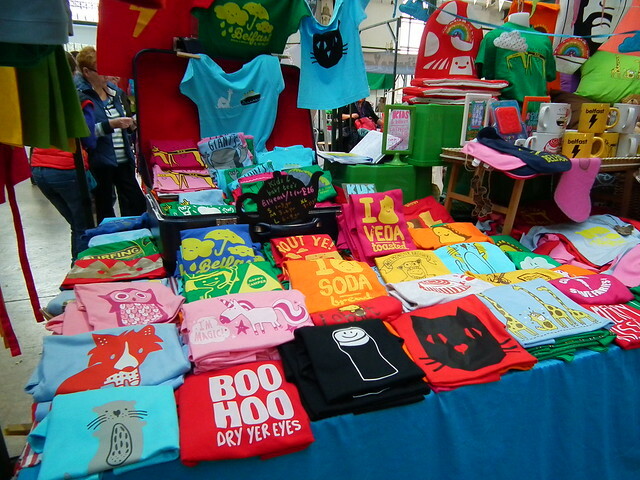 This isn’t a market filled with “Made in China” tat, but food and craft unique to Belfast and Northern Ireland. 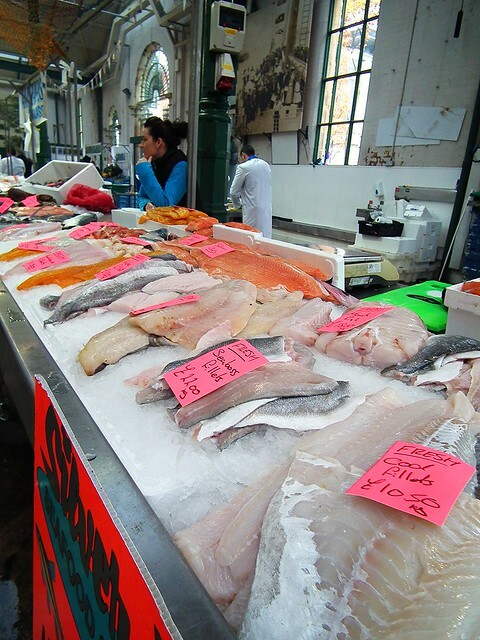 Arrive early and with an empty stomach to make the most of everything on offer. 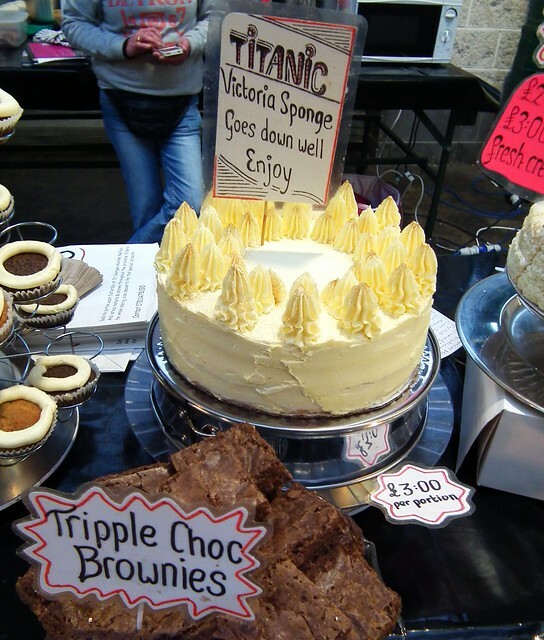 Super stuffed Belfast baps (known to you and me as a roll or a bun), indulgent cakes and biscuits, gluten-free and vegan baked goods, vegetarian treats and delightful delicacies from around the world. 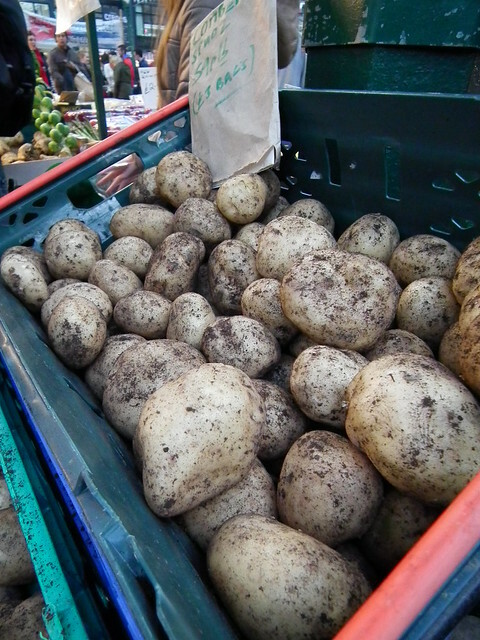 Oh, and there are potatoes – lots and lots of potatoes (and everything else you could want for a slap-up meal)! 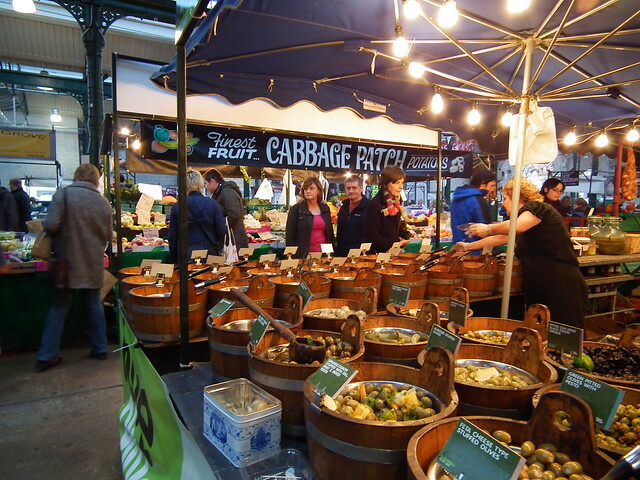 Markets are my all-time favourite places in the world and St. George’s Market doesn’t disappoint. 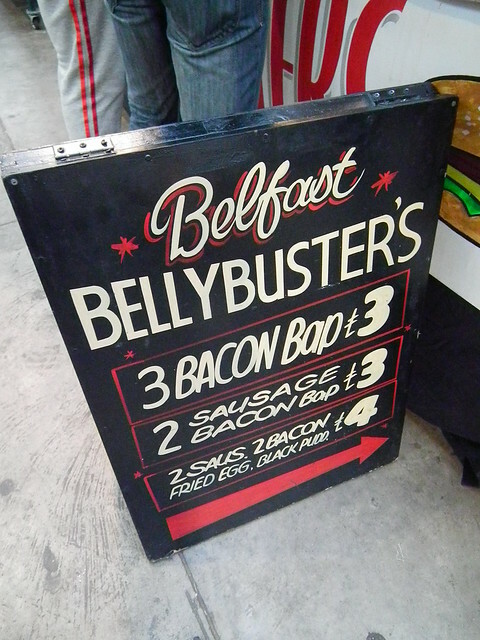 It’s official, this is my favourite place in Belfast.